Throughout my life I have often fallen quickly into sin. Even as a Christian, I struggled to believe that I had the power to resist when tempted. Since I didn’t believe, I fell into sin over and over and over again. Satan had me exactly where he wanted me…powerless, ashamed, fearful, and condemned. It wasn’t until I studied and poured over God’s Word about temptation that I was able to fully rest in His promises. Whatever we feed will flourish, so feeding on and digesting God’s Truth must become a daily part of our lives. For those of you who have the same struggle, my prayer is that a deeper study of these verses will strengthen you as they have continued to strengthen me. Temptation is all around us. No matter who you are or what you believe, you will face the temptation to sin every single day. No one is exempt. However, temptation itself is not a sin, until you sin. We have the choice. Satan’s very nature is to tempt and entice people to do evil and actively rebel against God. His goal is to convince unbelievers to blindly deny God’s presence while seducing believers into doubting God’s promises and power. Although we have a formidable opponent, our God is greater. Every single sin we commit will fall into at least one of three categories of temptation. Satan will tempt us with a range of sins, while manipulating the people, the circumstances, and the darkness around us. However, he will always use the same three points of temptation. 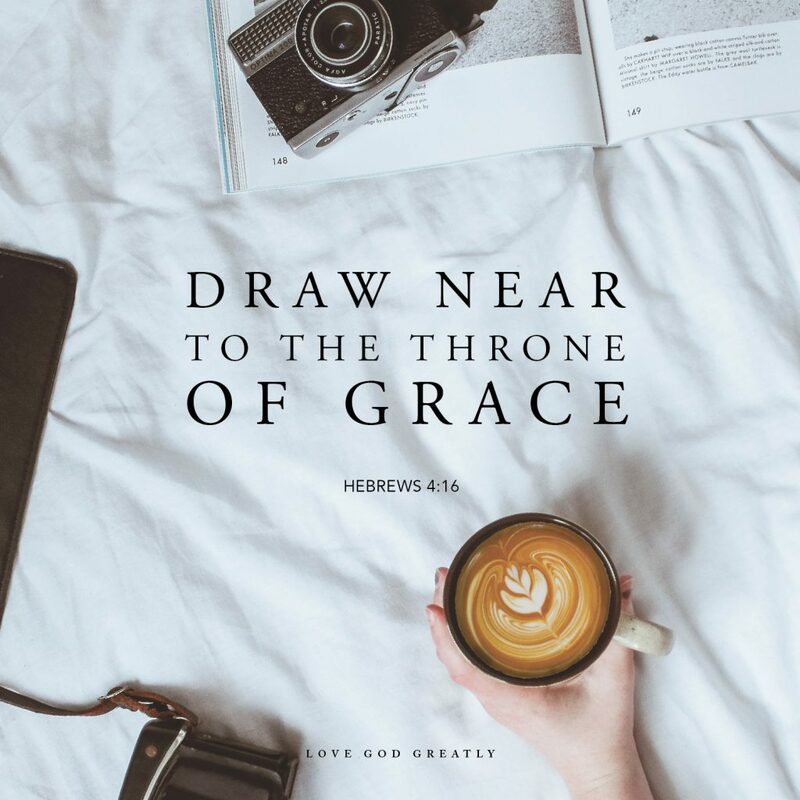 Satan’s goal is to keep us looking everywhere except for God’s throne of grace and mercy. Whenever we need a strategic plan for overcoming, we look to Jesus. Jesus was able to do the will of God, because He knew the will of God. So, let’s get to know these amazing promises of God found in 1 Corinthians 10:13. Every single person endures the same three points of temptation. Although the specific sin may be different, the categories are the same. We are not alone in this. So we must break the power of shame and failure by trusting Jesus as our righteousness and our redeemer of all sin. God is faithful. Notice that it doesn’t say that we are faithful. God deals faithfully with His people in good times and bad. When all else fails, God’s love and His promises never will. God knows our limits. He will restrict any burden from coming into our life that we can’t carry. If it becomes too much, He promises throughout Scripture that He will rescue us. God promises a way of escape. I often struggle with recognizing this. While in the midst of trials, trouble, and temptation, it is so difficult to see God, much less see a way of escape. However, we must practice experiencing God’s presence in our daily ordinary and mundane circumstances. That way, we can discern His whisper and clearly see His will even in the noise and confusion of temptation. God intimately knows each of us. He knows our individual ability to bear temptation, because He placed it within us. We are divinely designed by God to withstand the path that our life takes and to endure the hardships in life we face. Everyone cannot endure what you have had to endure. Everyone cannot face what you have had to face. If you are in battle right now, know in your heart that God has given you every single thing you need to have victory. Our hope comes from the promise that we are not alone. Jesus was tempted at all points just as we are. However He was able to perfectly resist and sinlessly overcome through the Word and power of His Father. We are not perfect. We will fail. But Jesus knows the struggle is real, so we can run to Him unashamed, unburdened, and unrestrained knowing that in Him we will always find unlimited mercy, grace, and forgiveness. When faced with temptation, choose Jesus over and over and over again. Terria serves on the LGG encourager and social media teams. She lives in Virginia with her husband. She is a proud mother of two beautiful girls in college. Her passion is igniting and empowering women to grab hold of God’s truth and cling to it. She can be found hard at work in military hospitals listening to patients’ stories, while sharing the love that God has poured out in her life. Despite the often chaotic circumstances of Terria’s life, God always shows Himself strong and loving. Thank you, Terria for an insightful and convicting lesson. I love lists. Was concerned to see procrastination listed as last year I felt it was my unofficial “word” for the year. But, pride of life and seeking todo it all on my own is the worse temptation. Trusting the Lord to protect and guide me aways from those and other temptations with His rod and staff of protection and correction. Blessings prayed for all the LGG community. Thank you for joining us and sharing on the blog today. I, too, am a list person and loved how Terria breaks down temptations into categories! Praying for you and with you for this ministry. God Bless You!